__How to Replace Dell Inspiron 6400 / Vostro 1000 Keyboard? 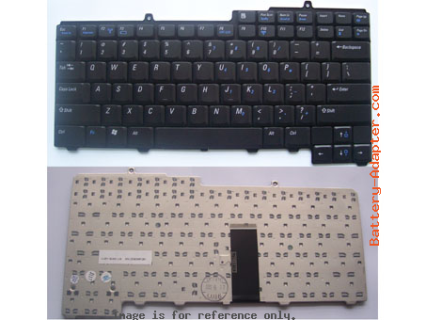 This guide can apply to removal the keyboard from Dell Inspiron 1501, Inspiron 6400, Inspiron 9400, Inspiron E1405, Inspiron E1505, Inspiron E1705, Precision M6300, Precision M90, Vostro 1000, XPS M140, XPS M1710. The actual laptop in this case is Dell Inspiron 6400. 1. Turn off your Dell Inspiron 6400 / Vostro 1000, unplug the powe adater, and remove the battery. 5. 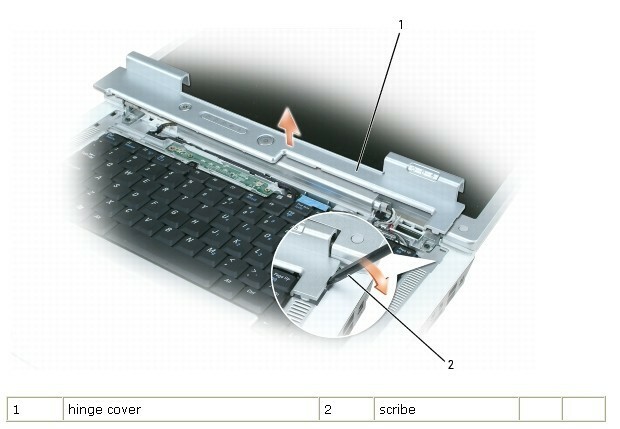 Remove the two M2.5 x 5-mm screws at the top of the Dell Inspiron 6400 / Vostro 1000 keyboard. 6. 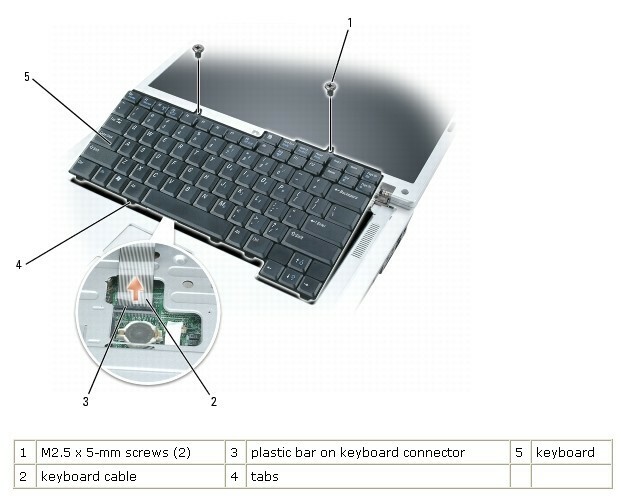 Carefully rotate the Dell Inspiron 6400 / E1505 keyboard forward to allow access to the keyboard connector. 8. Remove the Dell Inspiron 6400 / Vostro 1000 keyboard. 9. Reverse the procedure to install your new Dell Inspiron 6400 / Vostro 1000 keyboard.